Spirit's drummer Ed Cassidy, passed away on Dec. 6. Based in Los Angeles, Spirit was part of the psychedelic garage music scene of the '60s. Their only hit song was "I Got a Line on You." It was the best of the seasons, it was the most violent of seasons. As soon as Jax grabbed the SAMCRO gavel from Clay on Season 5 of "Sons of Anarchy," there was trouble in the biker paradise. Nine players were suspended for Adderall use by the NFL in 2012. It's a "game-day performance enhancer," says the NFL spokesman Greg Aiello. Lil Wayne pays homage to Hunter S. Thompson’s "Fear and Loathing in Las Vegas" in his video for "No Worries." Who knew Dr. Gonzo resonated in hip-hop? Mixtape favorite "Stu" features Wiz Khalifa smoking a blunt while sitting in front of a large blow-ups of a live marijuana plants and buds. 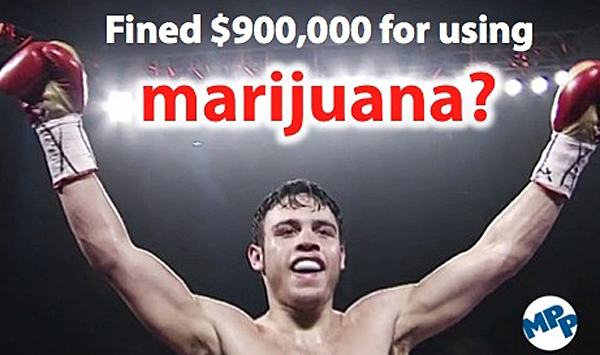 Former WBC middleweight champion Julio Cesar Chavez, Jr. received a nine-month suspension and $100,000 fine for testing positive for marijuana after his last fight in September.